Rebecca and her husband, Gary, own the largest lavender product company in America, selling to 4000 resorts, spas and gift stores. 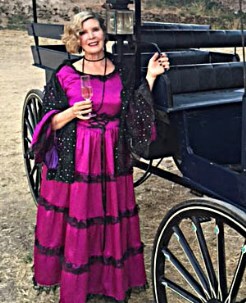 The Rosenbergs believe in giving back to the Sonoma Community, supporting many causes through financial donations and board positions, including Worth Our Weight, an educational culinary program for at-risk children, YWCA shelter for abused women, Luther Burbank Performing Arts Center to provide performances for children, Sonoma Food Bank, Sonoma Boys and Girls Club, and the Valley of the Moon Children's Home. For more information, please visit Rebecca's website and blog. You can also find her on Facebook and Goodreads. 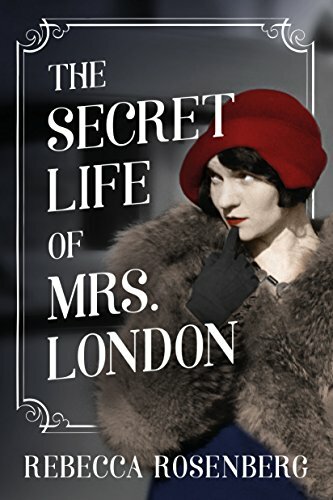 Visit the Facebook page for The Secret Life of Mrs. London. Thanks so much for hosting The Secret Life of Mrs. London Book Blast! It's a fabulous read, I highly recommend it!